Epilepsy is a clinical condition characterized by uncontrolled, involuntary contractions of the muscles of a part or whole of the body. Discrete neurological (brain) regions trigger fluctuations in the electrical potentials in the brain, causing repeated muscular contractions in the area controlled by that part of brain. Epilepsy symptoms are varied for different types of epilepsy. 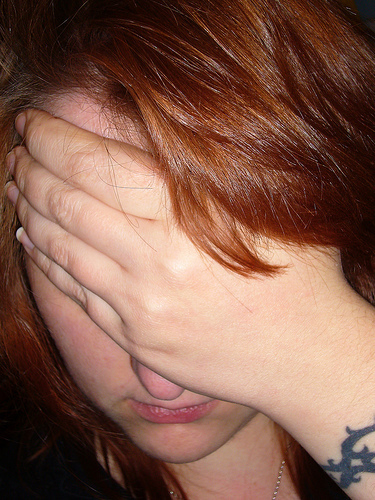 Headaches are common epilepsy symptoms seen in the phase after a seizure episode. Each type of epilepsy is characterized by a different set of symptoms. Epilepsy symptoms vary in terms of factors like the extent of the seizures (a part or the whole of the body), the duration of seizure episodes, the patient’s levels of consciousness during/after the episode, and his awareness of his surroundings during the seizures. In this type of epilepsy, seizures begin suddenly and without warning. In some cases, individuals may report prior vague perceptions throughout the body. The phase of active seizure is known as the ictal phase, while the phase following the seizure is called the postictal phase. Here are the symptoms for each phase. The patient’s Electroencephalogram (EEG) shows progressively rising, fast and high amplitude voltage discharges in the neuronal tissue. As the patient recovers from the seizure episode, the EEG almost comes back to normal. Ictal Cry Contractions of the respiratory muscles push the air out of the lungs forcibly. At the same time, the contracting muscles of the larynx (respiratory airway opening) prevent this blast of air from coming out of the respiratory path. This process may produce a loud moan, better known as an ictal cry. Cyanosis is characterized by a bluish appearance of the fingertips, the tip of the nose, and the ear lobes, due to insufficient oxygen in the blood. Impaired respiratory muscle movements pull in the respiratory secretions causing impaired lung function, which ultimately leads to cyanosis. When a person forcefully contracts his jaw muscles during a convulsive episode, he runs the risk of severely injuring his tongue if it gets caught in between both the jaws. If this happens, it can be very painful for him. Additional epilepsy symptoms in the case of generalized tonic-clonic seizures include a rapid heart rate, high blood pressure, and dilated pupils. 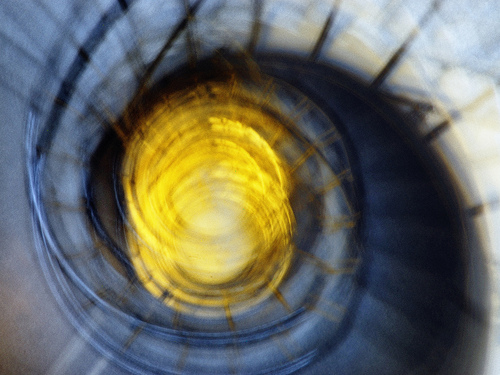 Vertigo or dizziness is one of the symptoms of epilepsy, often seen in simple partial seizures. These symptoms make the patient look confused and frightened. As epilepsy can be highly disturbing for the person who has this condition as well as the people around him, it best to take the necessary measures to counter it. The best remedy is to avoid its triggers that act as causes of epilepsy in the first place by taking the necessary steps for epilepsy prevention. If you experience any of the epilepsy symptoms mentioned above, rush to the doctor immediately for epilepsy treatment. This entry was posted in Epilepsy and tagged seizure symptoms, symptoms of epilepsy by Dr. Harshal Narkhede. Bookmark the permalink. Dr. Harshal Narkhede (MBBS, MD, PGDHHM, MS-CIT) is the Assistant Professor of Biochemistry at Government Medical College, Nagpur. A specialist in Clinical Chemistry, Biochemistry, and Diagnostics, he has close to five years of medical experience.